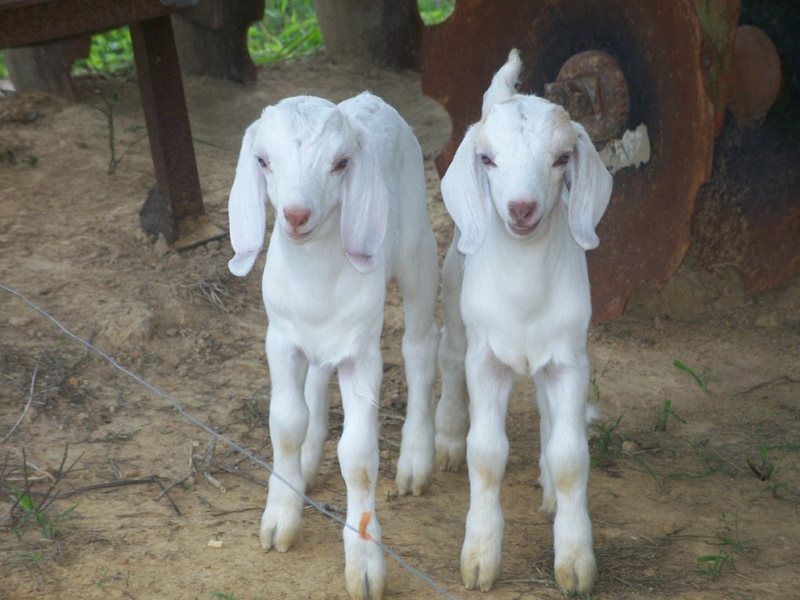 We raise mixed breed goats. 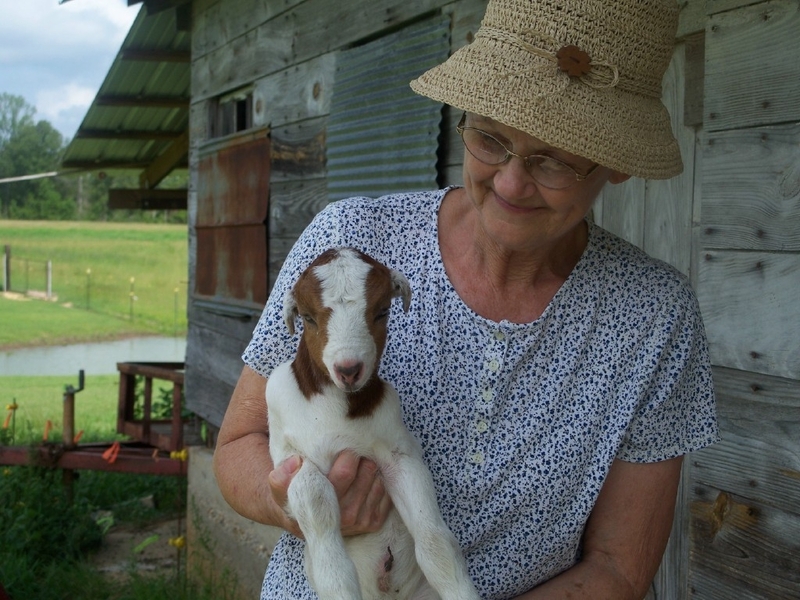 We started out with just goats. We decided to go to the Boer meat type goat. After two years and many problems with parisites and hoof problems we have decided to start crossing with the Kiko breed. We have a 100% Kiko buck we bought last year and have only two of his first time kids left. We are anxious to see his next crop of kids. The kids born this year were up and nursing within fifteen minutes. This is some more of the kids. This is a picture of one of our Lamancha babies. Notice there are no ears. They have ears but are only about two inches long. 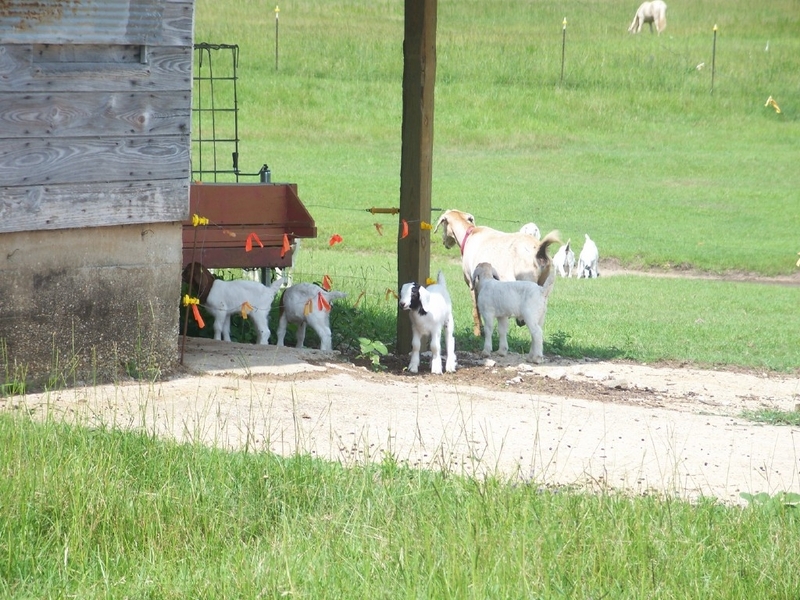 Our Lamancha had triplets this year.